FRESNO, Calif. - Fresno State head coach Tim DeRuyter will be welcoming back three of the best pass catchers in school history at Saturday's game against Wyoming when Davante Adams, Bear Pascoe and Stephone Paige will serve as the honorary captains for the Bulldogs. Since DeRuyter's hiring prior to the 2012 season, he has made an effort to reconnect with alumni and he introduced the honorary captain program as a way to welcome back the former Bulldogs who built the program. Being an honorary captain gives the former Bulldogs a chance to address the squad on gameday, eat pre-game meal with the team, be in the locker room prior to kickoff to hear DeRuyter's pre-game speech and run out of the tunnel with the `Dogs. Pascoe, a tight end from 2005-08, was a two-time All-WAC selection for the Bulldogs and he caught 10 touchdown passes in his career. 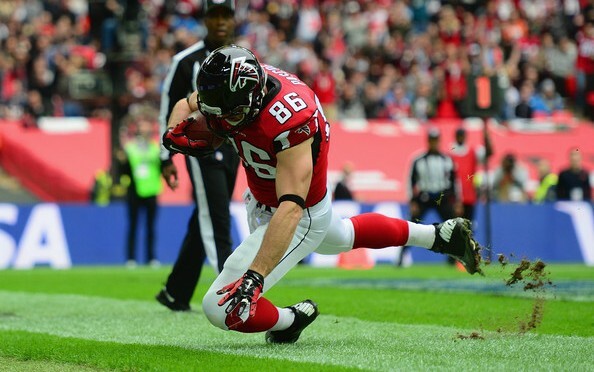 Pascoe is currently in his sixth NFL season, currently playing with the Atlanta Falcons and he caught a touchdown pass in Sunday's game against Detroit. He won a Super Bowl with the New York Giants in 2012 and is one of nine former Bulldogs to win a Super Bowl.